I have been having so much fun with this full design client. I recently shared her daughters Prima Ballerina room and since she is due soon with a little boy, we also got to tackle a nursery. 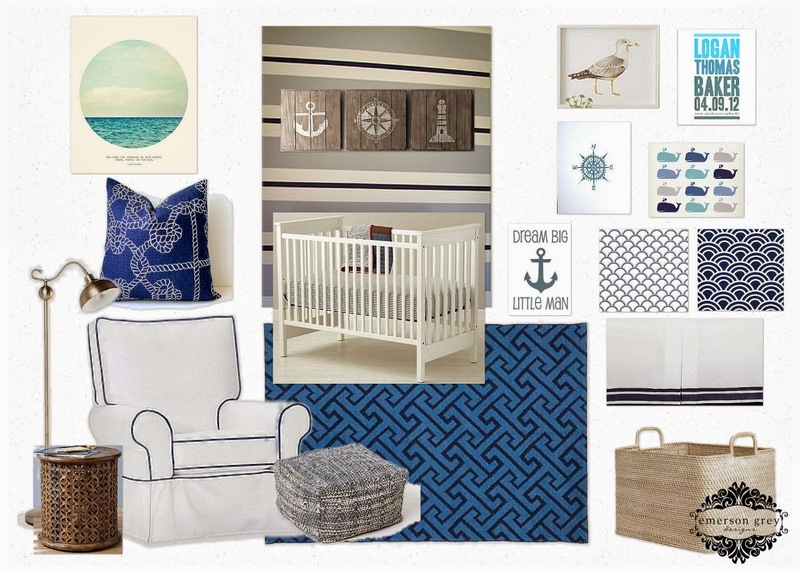 We went with a nautical vibe for the nursery and are both loving how it is turning out. Touches of wood tones are really adding some warmth among the grey walls. A striped accent wall is definitely the hit in this space. I hope to have the finished pictures in the next few weeks.